I love things that are practical. And who doesn’t love things that are lovely? The best is when the two come together. The icing on the cake (or the lace edging on the hand knit) is when the lovely, practical thing was a gift. 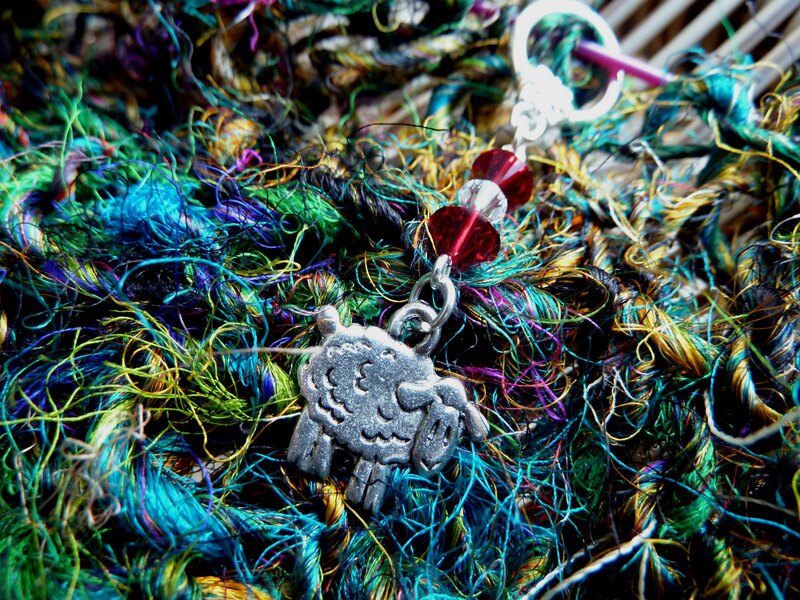 Which is why I love these stitch markers. The completion of each round is a celebration. The little sheep says, "Baa! You're awesome! Keep knitting!" I love them almost as much as the dear friend (A new knitter herself. I am so proud!) who gave them to me. I do know some knitters who aren’t a fan of decorative stitch markers. Which camp do you fall in? Decorative or utilitarian?